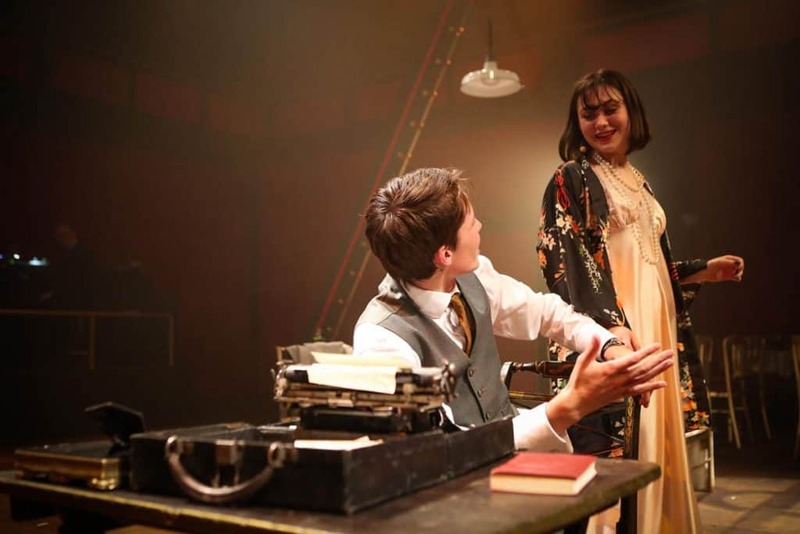 It’s quite difficult to know where to start in writing this review, but let’s begin with a highly justified superlative. 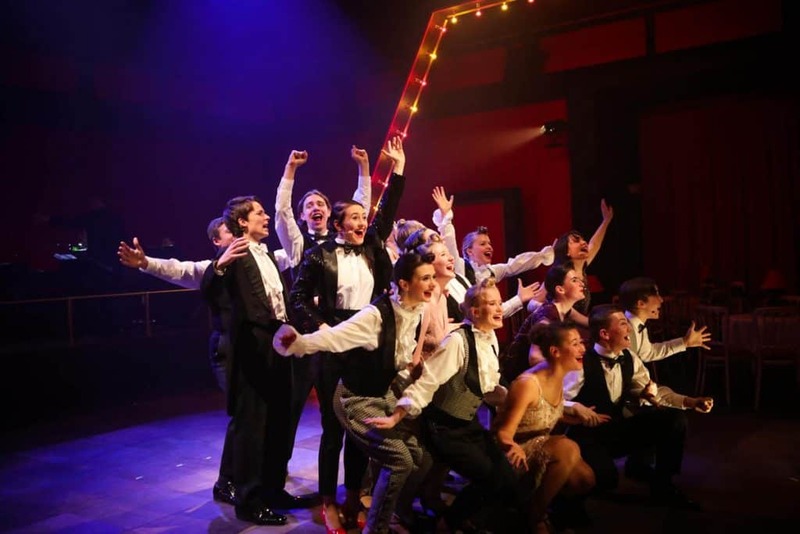 David Kenworthy’s brilliantly directed production of Cabaret was simply a joy to behold. 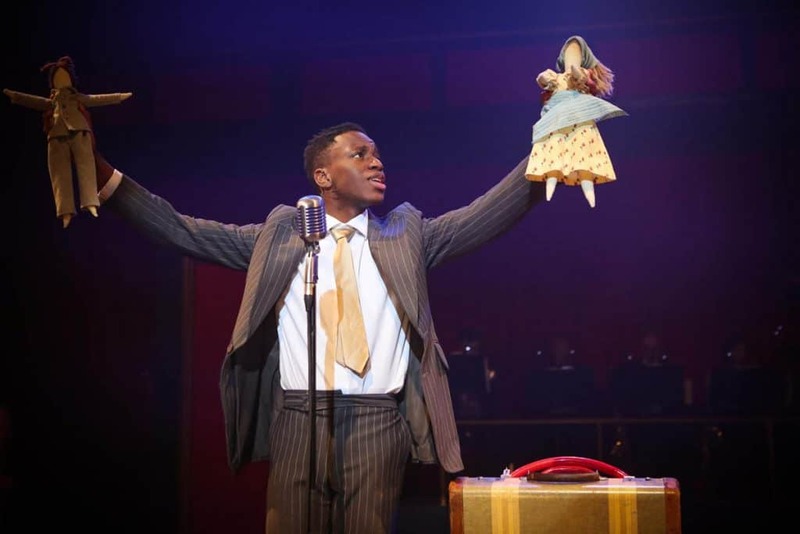 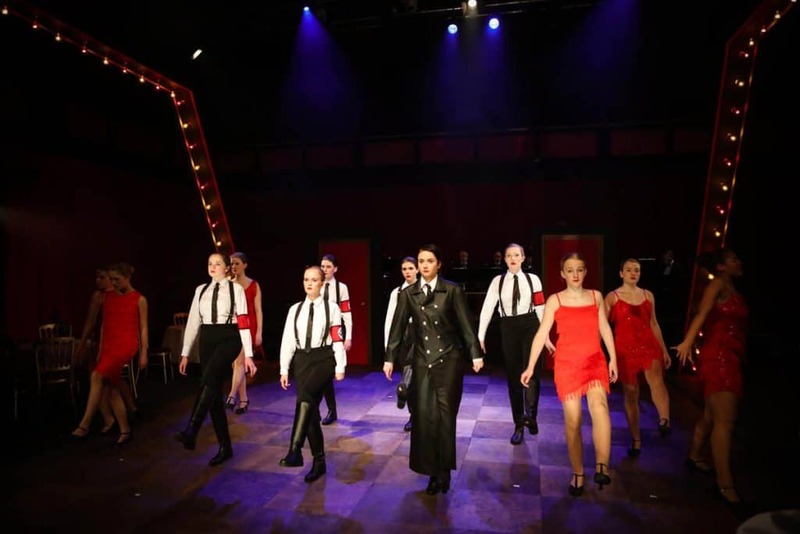 Having resisted the temptation to emphasise the more seedy aspect of this musical (which is so often the case), Mr Kenworthy instead chose to focus on the extraordinary contrast between the heady Weimar party days of Berlin and the horror of what it became under Nazi rule. 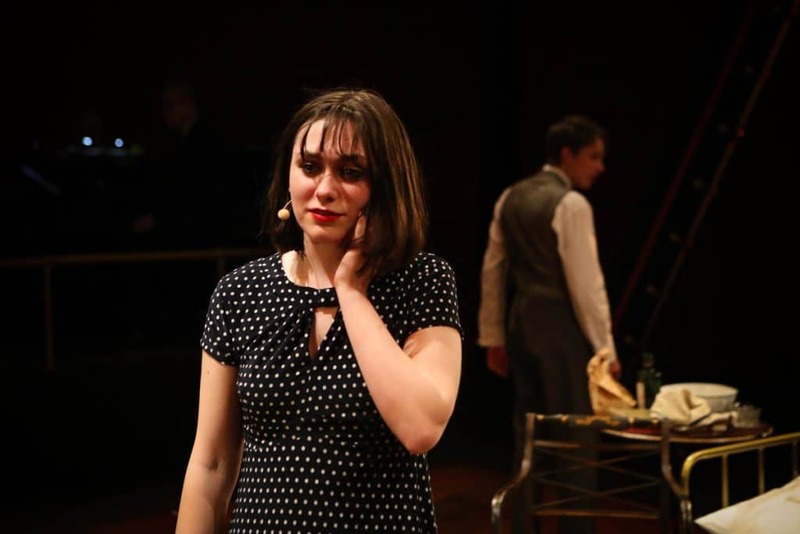 The contrast couldn’t have been more stark. 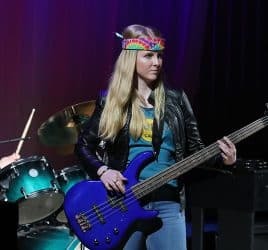 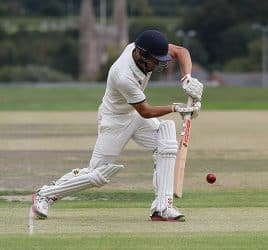 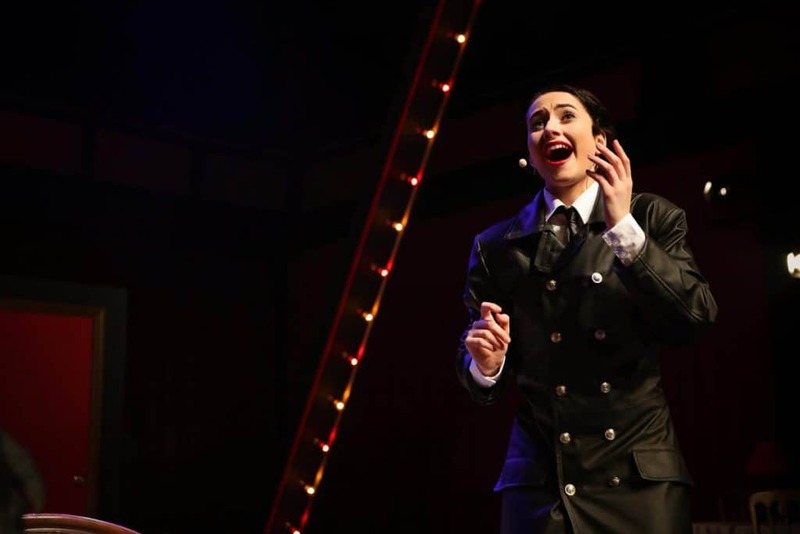 The energy, humour, colour and zest of the first half was both exuberant and uplifting, only to be crushed by the darkness, anger and misery of the second. 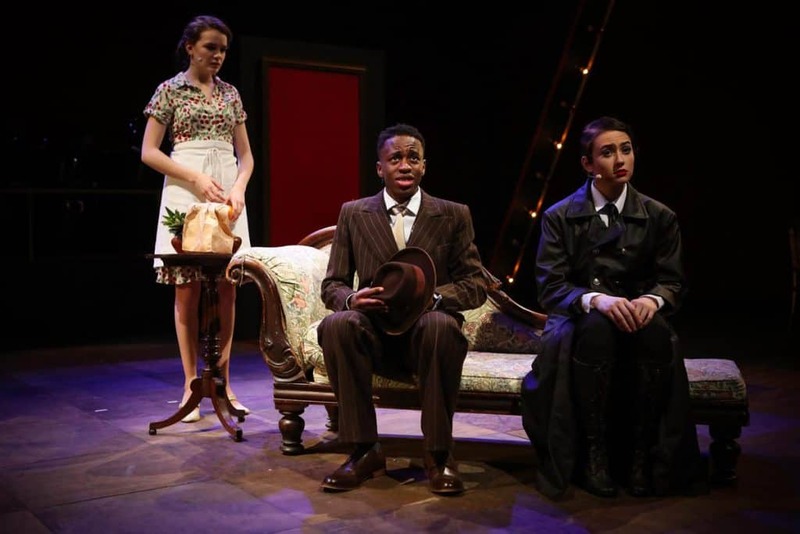 The casting was judged to perfection, allowing the main characters to flourish with aplomb. 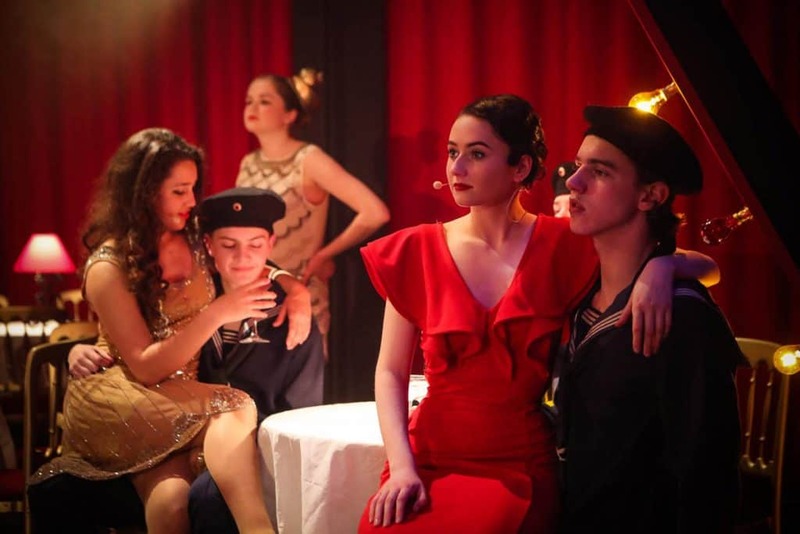 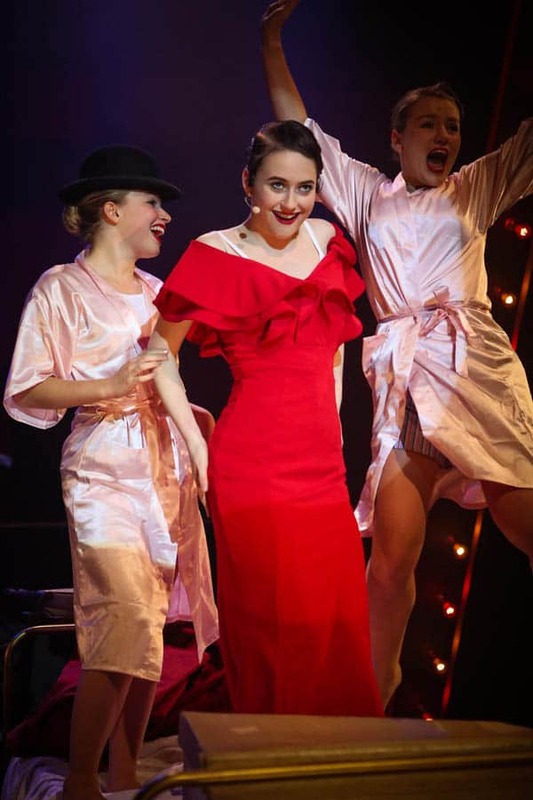 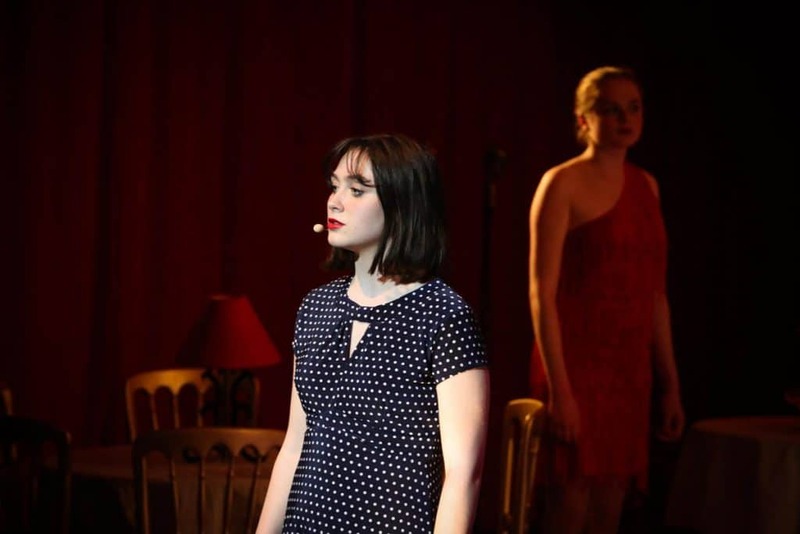 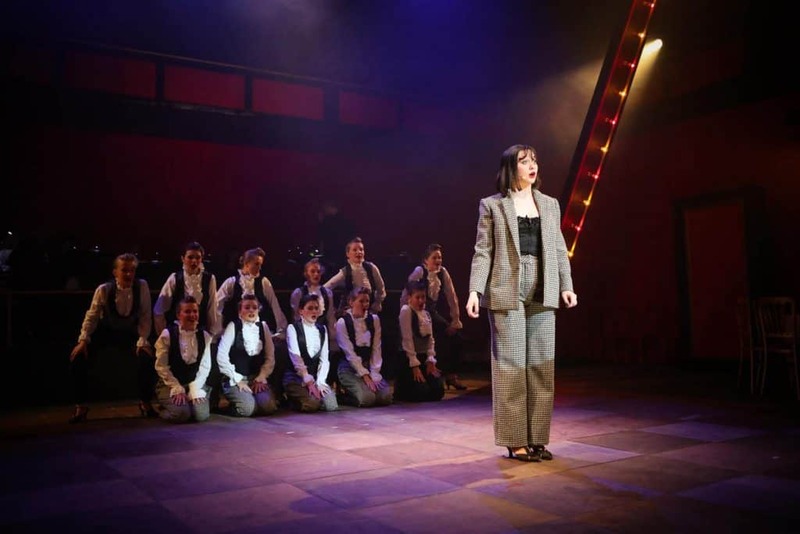 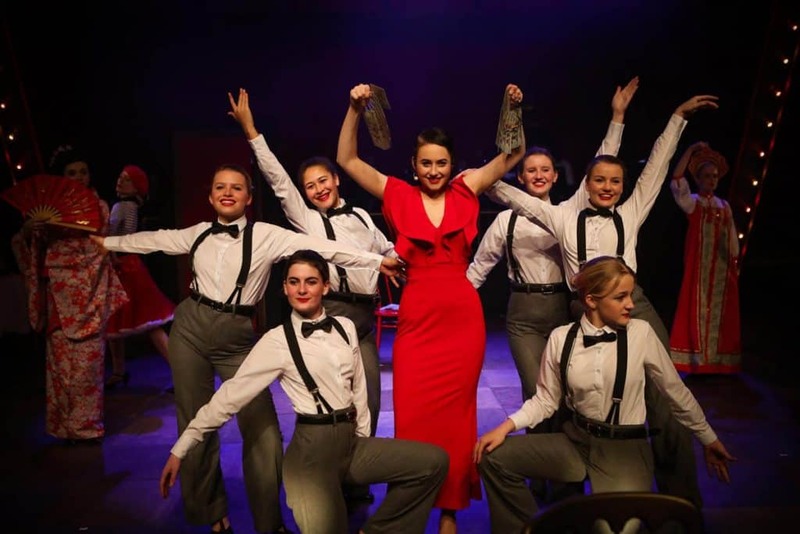 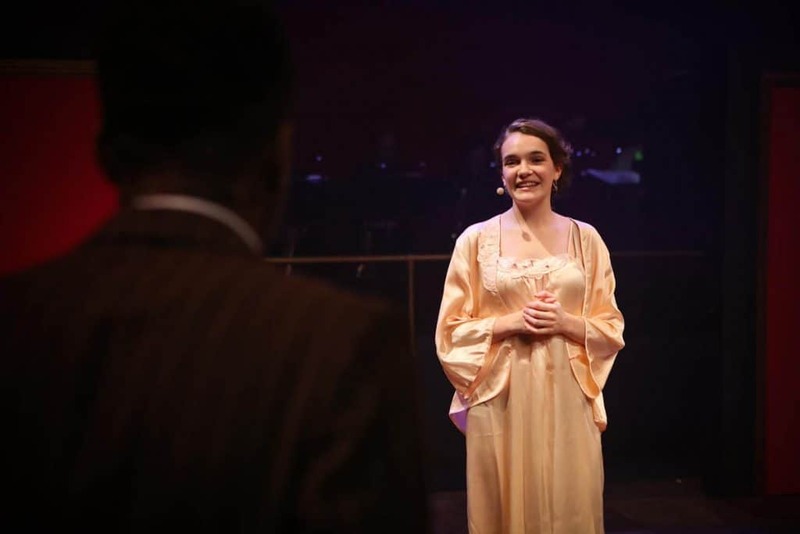 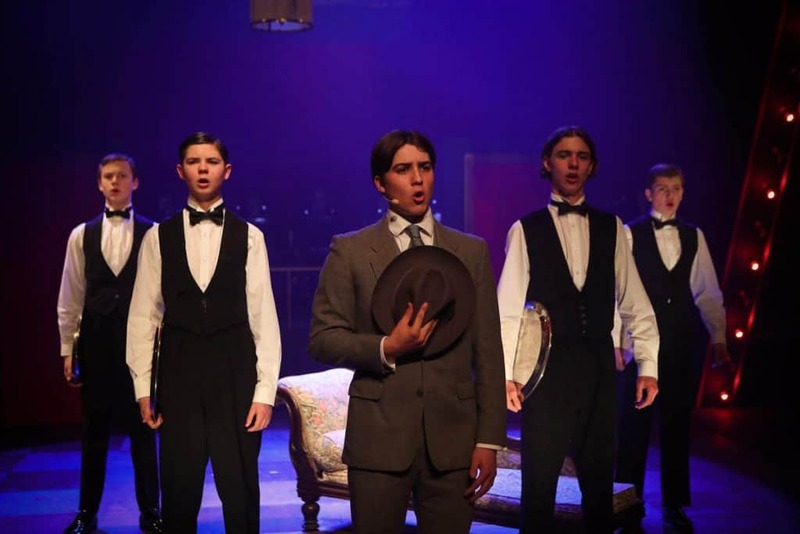 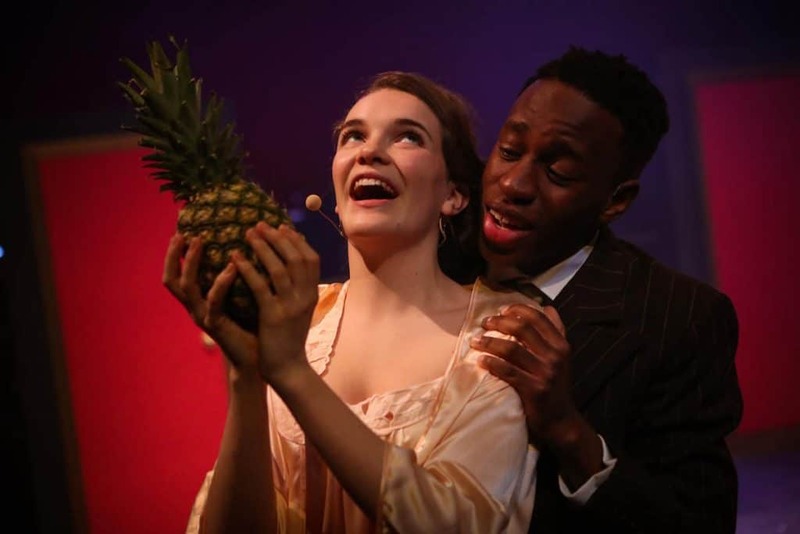 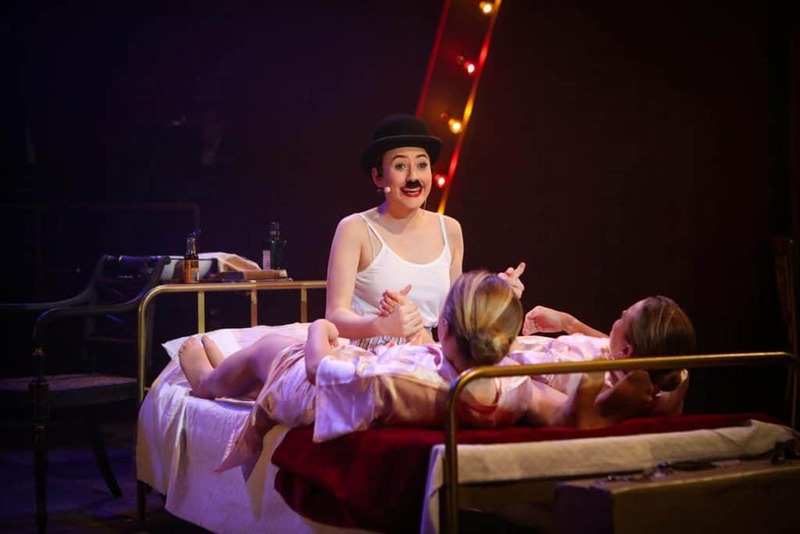 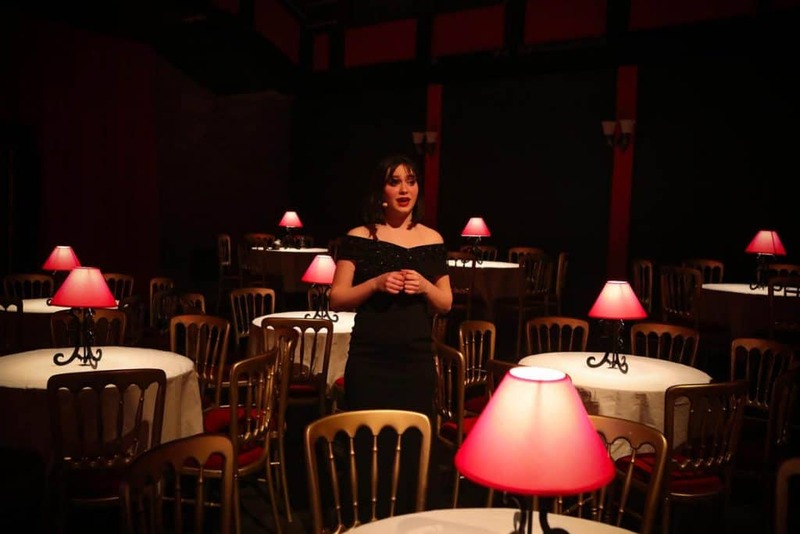 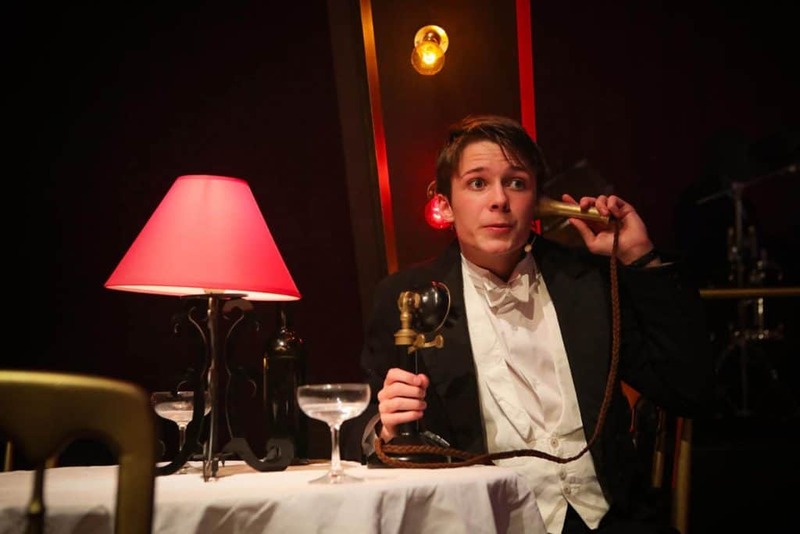 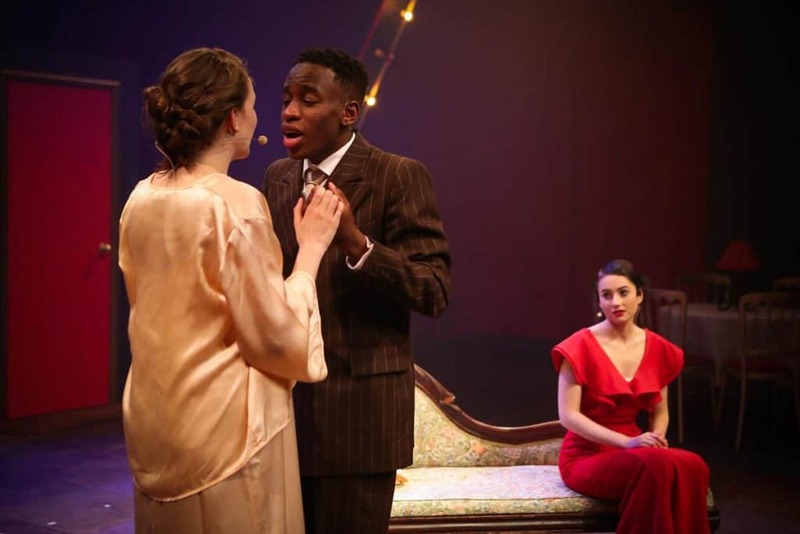 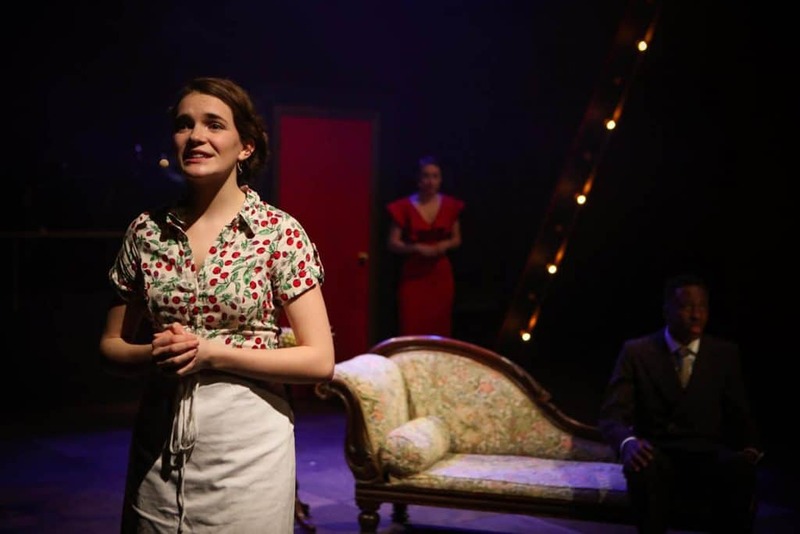 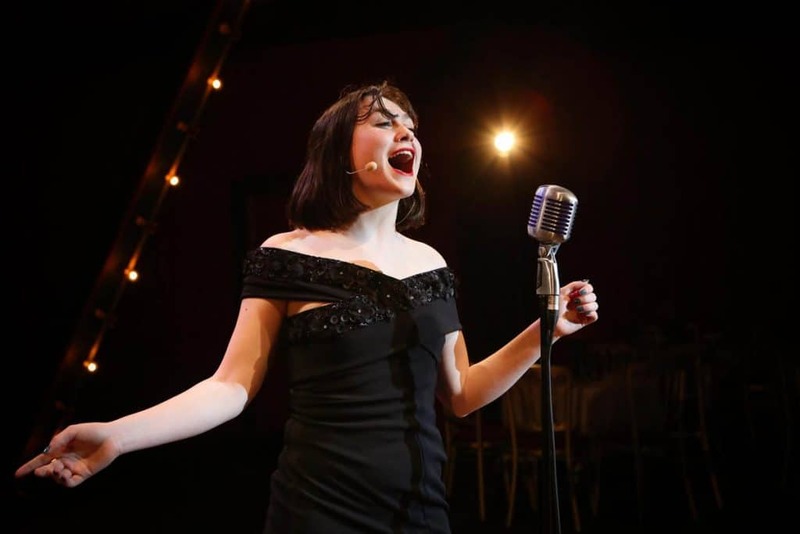 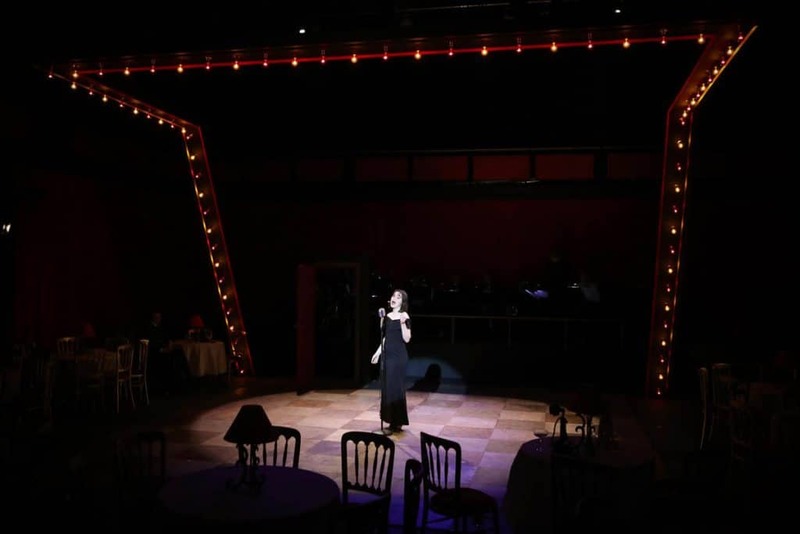 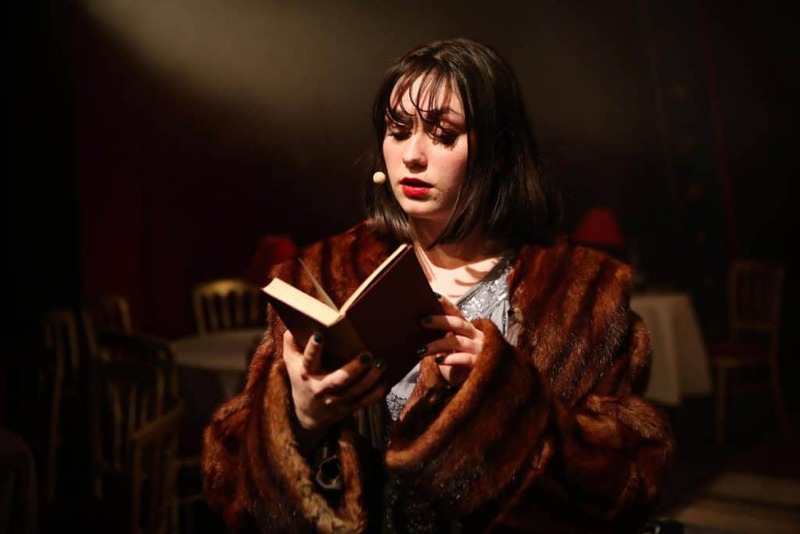 From Florence Tuckey’s moving opening number as Emcee, the scene was set for others to follow with Talia Neat (IH L6, Sally Bowles), Oscar Beattie (B1 L6, Clifford Bradshaw) Freddie Kottler (C2 Hu, Ernst Ludwig), Claudia Vyvyan (MO U6, Fraulein Schneider), Ijah Ofon (C1 L6, Herr Schultz) and Coco Bradley (DA L6, Fraulein Kost) each bringing moments of magic, laughter and tears to our eyes in equal measure. 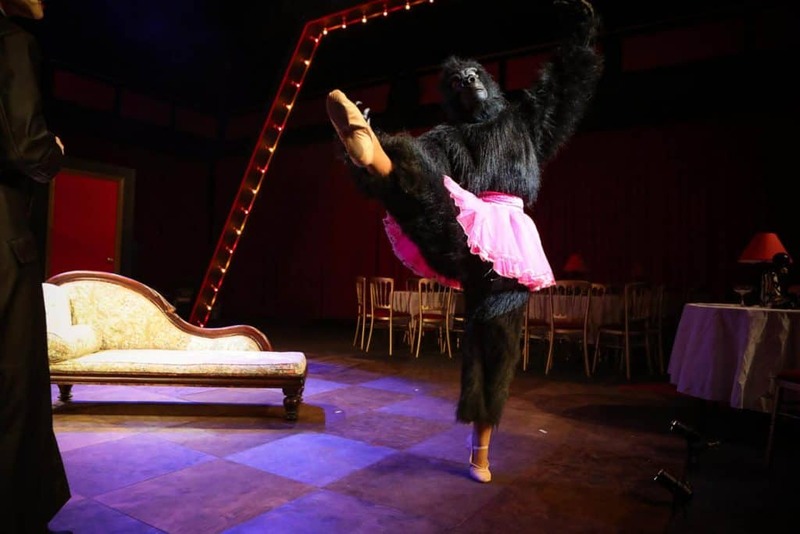 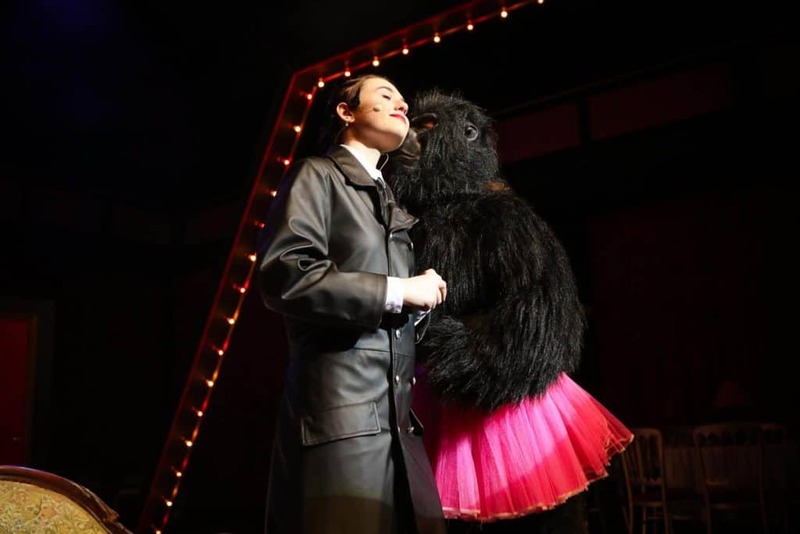 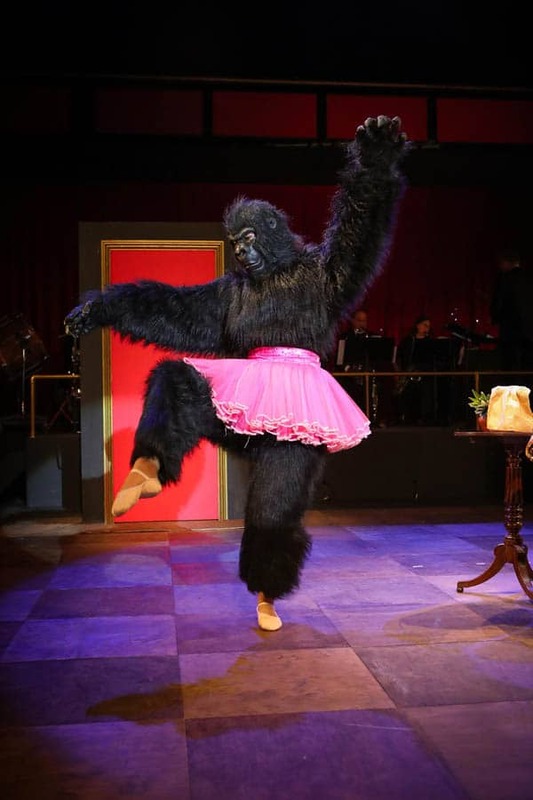 The supporting ‘Ensemble’ also offered some exceptional contributions from tap dancing to a visit from a friendly Gorilla (both played by the excellent Sophie Powell) and some well-rehearsed dance routines which they clearly relished. 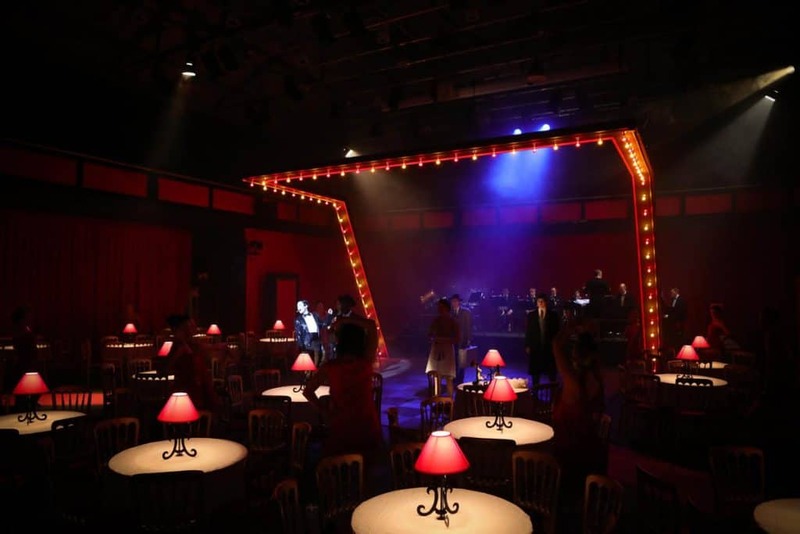 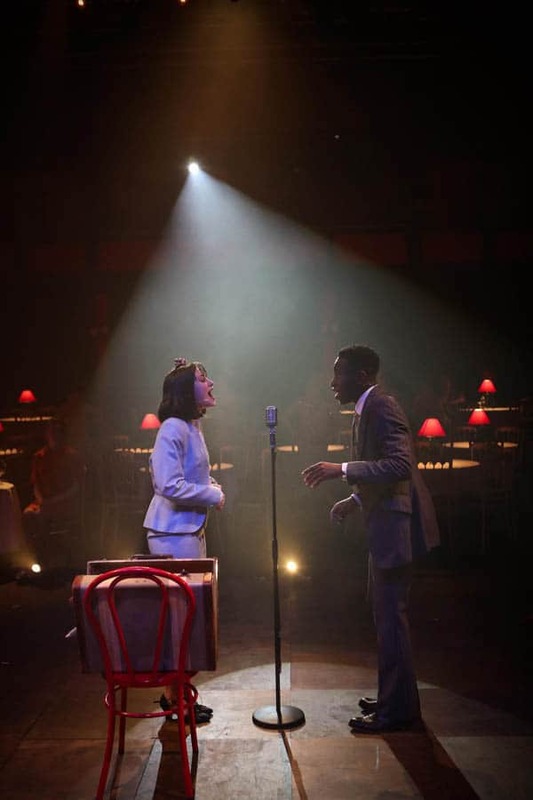 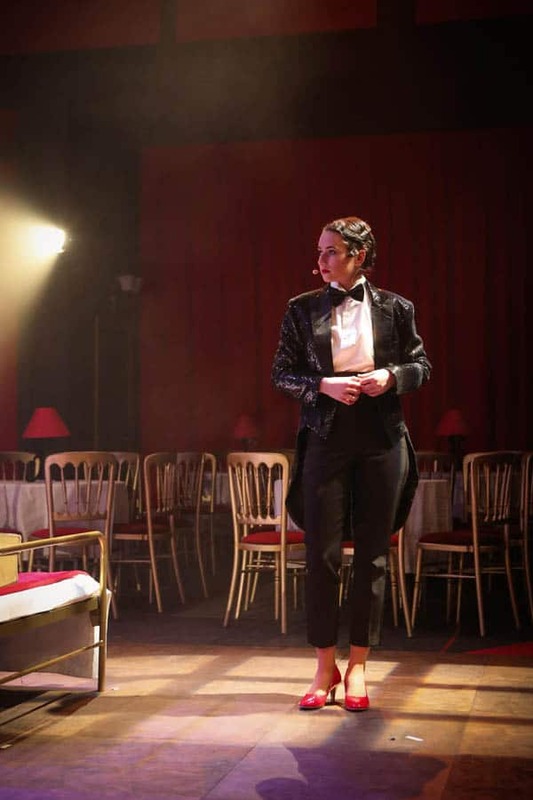 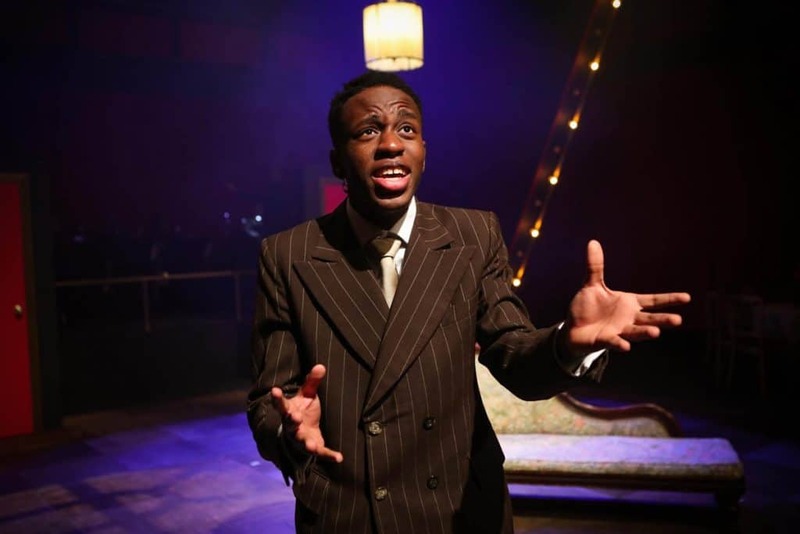 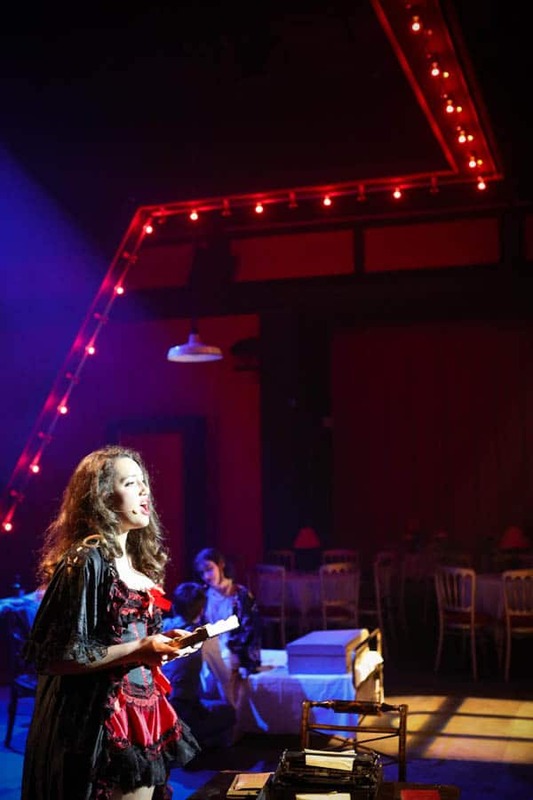 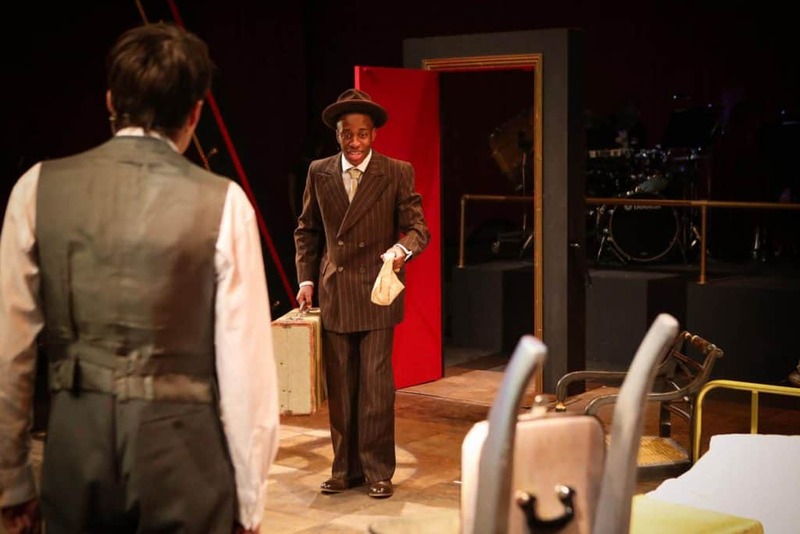 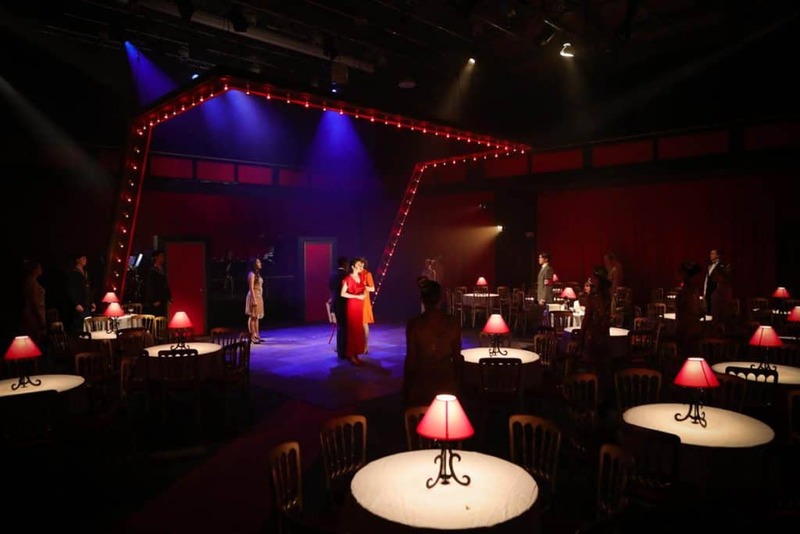 The Ellis Theatre was expertly transformed into the Kit Kat Klub by set designer Paul Cox and with the audience sitting at tables ‘club style’ one felt as though one was amidst the action rather than viewing from afar and that made it so much more real. 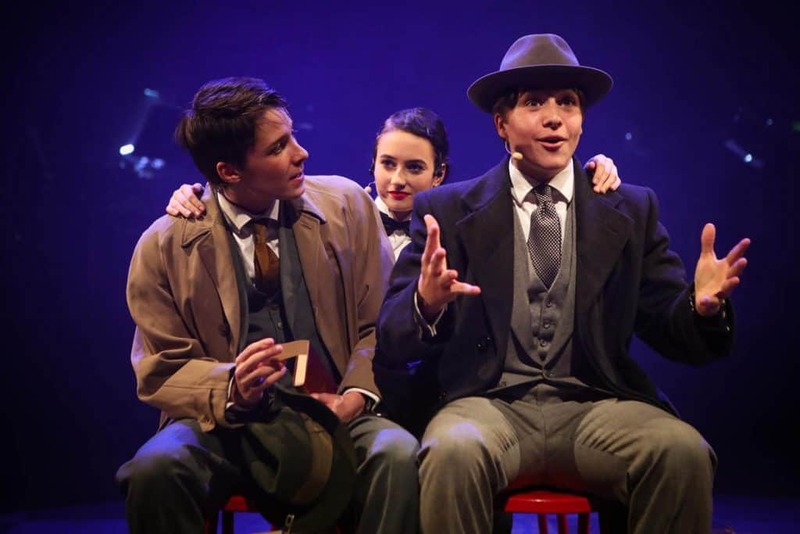 The precision and professionalism offered by the band (special praise to Alex Arkwright for his musical direction, and George Nicholson and Joe Arkwright (SU 2010–15) for some ravishing trumpet and trombone solos respectively) provided the essential backbone to proceedings and with the extraordinary attention to detail and finesse of the costumes this was truly a production to remember. 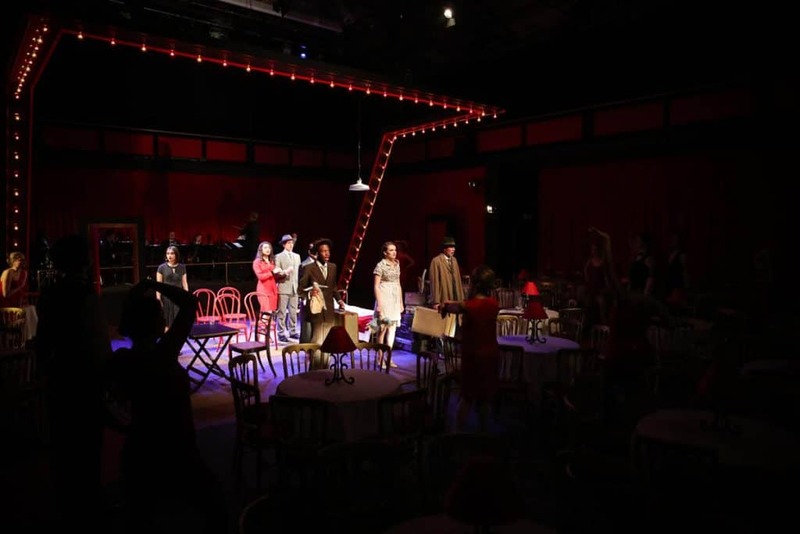 Cast, Orchestra, Production, one and all, thank you and take another bow, because that was very special indeed.